1 Master w/King, 2 w/King, 1 w/Queen, 2 w/2 Bunk Sets. Sheets & Towels Provided. 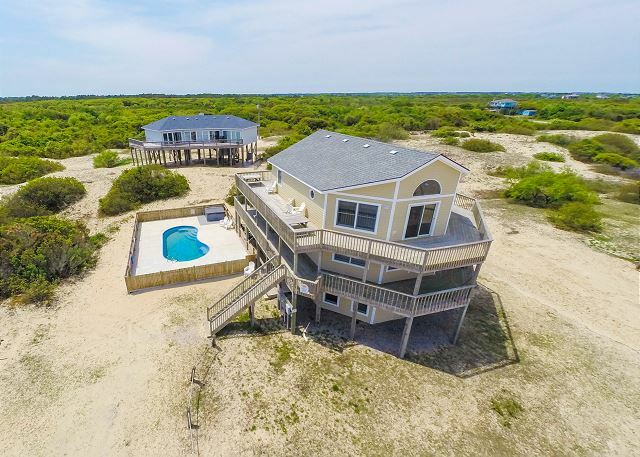 True paradise living located 7 miles north on Carova beach. 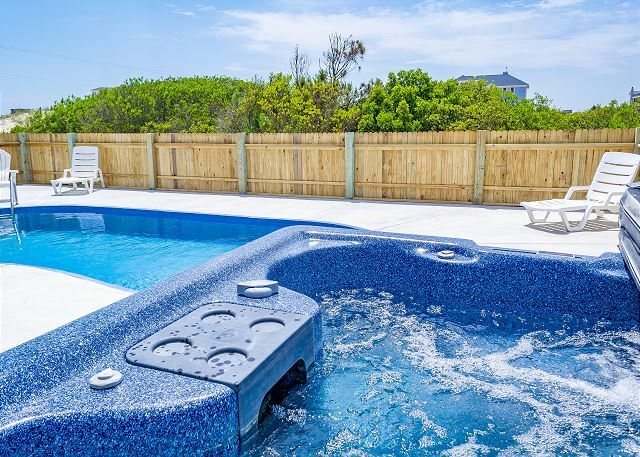 A quiet and relaxing vacation awaits you in this extensively remodeled 6 bedroom 4 bath home. The top floor offers generous space with beautiful furniture and bright wood floors offering both a comfortable and beautiful area for the family to gather with a view of the Atlantic Ocean as a backdrop. The kitchen has stainless steel appliances and there are flat screen TVs throughout. The smart design and layout provides large eastern facing windows to allow healthy natural light to flood the upper level. 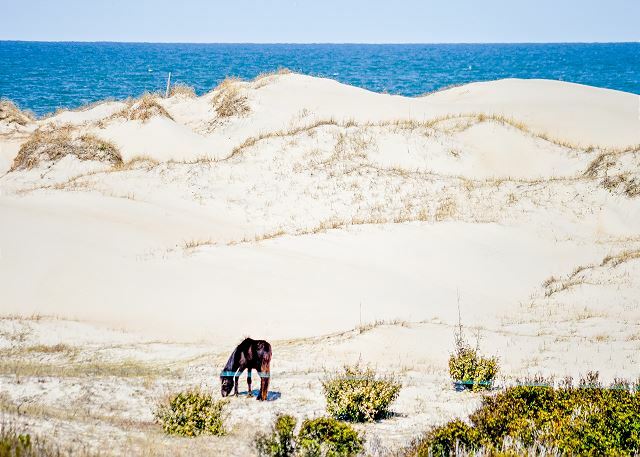 Enjoy the sunrise from the multilevel wrap around decks or spy some of the most famous residents of Carova: the legendary heard of wild Spanish mustangs as they graze on the dunes or frolic by the sea. With the 14'x28' private pool and the multiple levels of decking there is ample outdoor space with breathtaking views of the ocean. Sip a cool beverage by the pool or enjoy a game of billiards on the lower level. 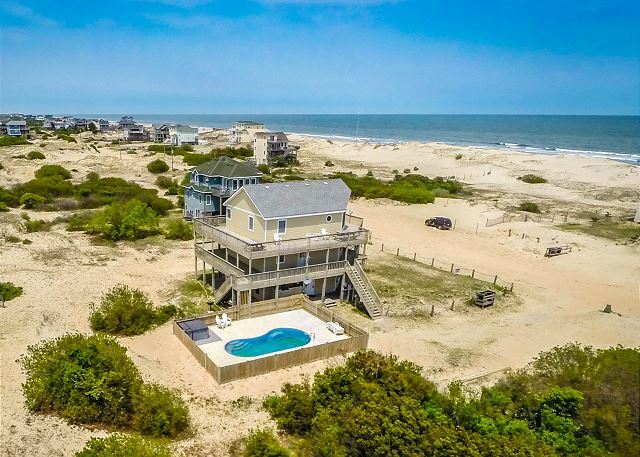 If you are itching to sink your toes into the warm sand by the ocean, this semi-ocean front home is a short walk to the beach and of course, should you choose to take advantage of one of the greatest benefits of the 4 wheel drive beaches, you can load up your vehicle with everything the family will need for a day on the most pristine and remote beaches on the northern Outer Banks. 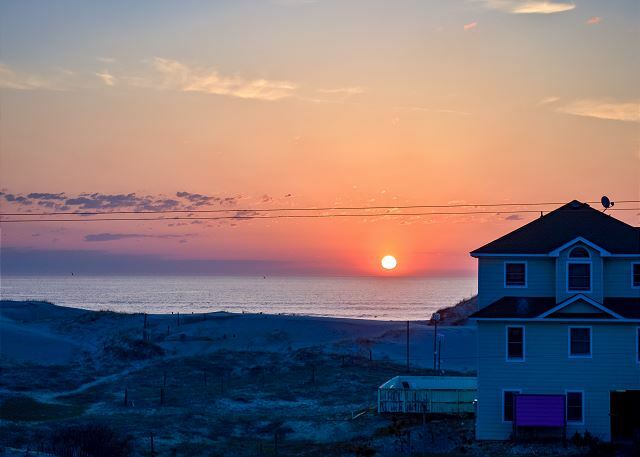 Carova was voted Best US Beach in February 2014 by Coastal Living Magazine! It was a little rough at first. The keyless entry code didn't work but they sent someone out to fix the issue. Overall, we had a great experience. Thank you for sharing your experience with us. We are glad that you and your family enjoyed your vacation! We always like to hear about the times we got it right, and I'm glad that we could service the door issue quickly so that they didn't interfere with your vacation too much. We really hope to see you again in 2019! The house we stayed in had a few problems. Some were, a loose porch railing on the second floor balcony, all the pool chairs were broken, the TVs did not work as promised. However Kitty Hawk Realty was very helpful on fixing these problems,with the exception of the TVs in a timely manner. My husband, who travels for a living was extremely disappointed that he could not stay in bed and watch TV at his leisure! I don't think we would stay in this house again, however we we're impressed with the Realty company and their kind and helpful employees. Although our maintenance team did respond to your concerns, we regret that we were not able to get the tv fixed during your stay. We appreciate you taking the time to tell us about your stay. All of us were really pleased with the location of Almost was just as advertised. We would have liked to have had bathmats/hand towels provided, although all of us knew we each had to bring our own towel. 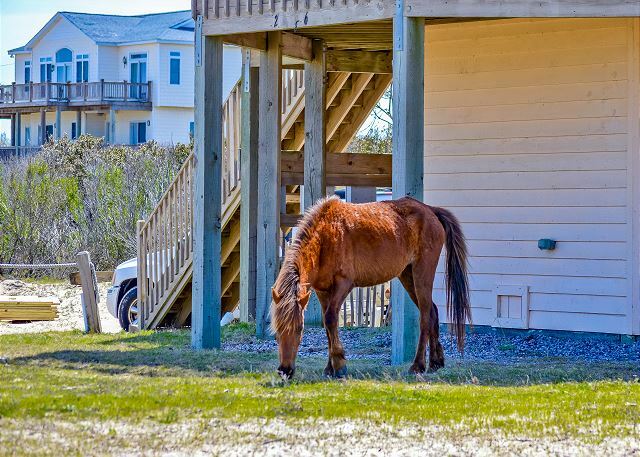 Property management was helpful before our stay, and kind enough to give us a warning about possible changing weather conditions when Maria might have made its way up the Outer Banks. Rental company was easy to work with. Thank you for your kind review! 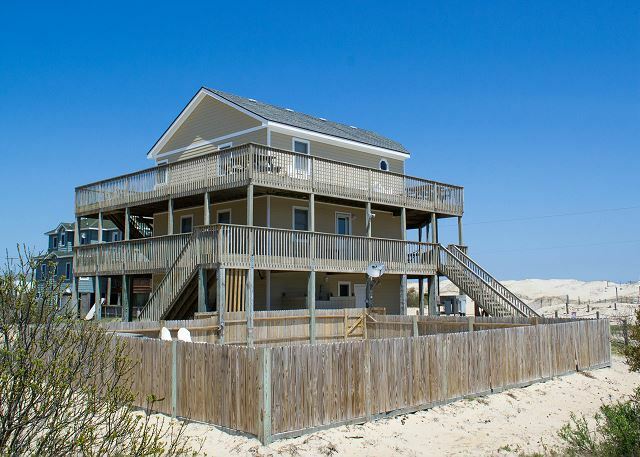 Our priority at Kitty Hawk Rentals is to provide top-level customer service, and we strive to ensure a positive guest experience. We had a wonderful vacation. Home is beautifully decorated and spacious. 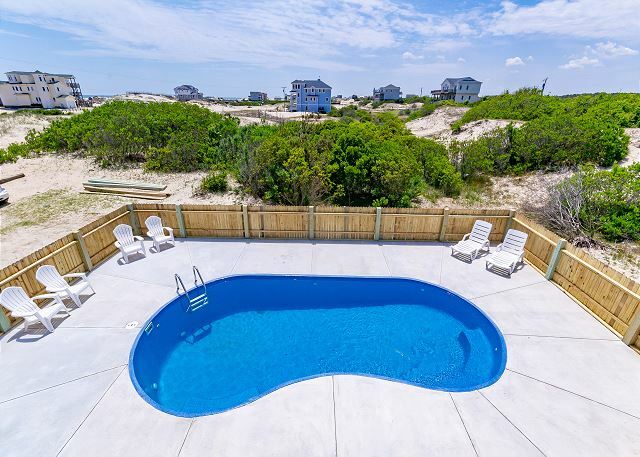 We enjoyed the proximity to the beach (a short walk over the dunes), the pool, and the hot tub. The beach was very clean and we enjoyed morning walks. 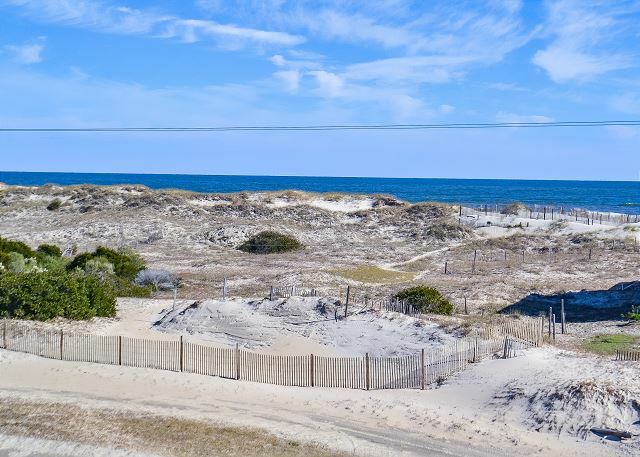 This rental is located 7 miles north on 4x4 Carova Beach. We had a relaxing vacation. Glad to hear you enjoyed your time at Almost Paradise. We hope you'll return for another relaxing vacation. Thanks for posting. We had a great week at Almost Paradise. We were able to check in a tad early which was a huge plus bc we had small children. The home looked just as it did in the photos. It was clean and well maintained. The pool and hot tub were great. 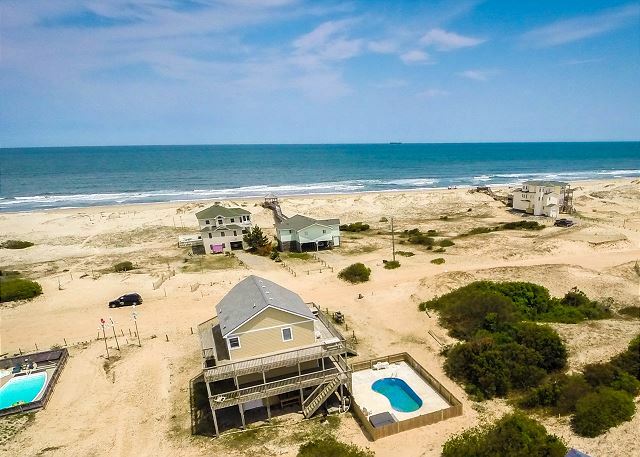 There is no home in front of Almost Paradise so the ocean views were great and there is a walking path to the beach right outside the front door so it made jogging back for a missed beach item very easy. The rental company was pleasant and easy to work with. When we come back to OBX we will likely stay here again. Thank you for the lovely review. 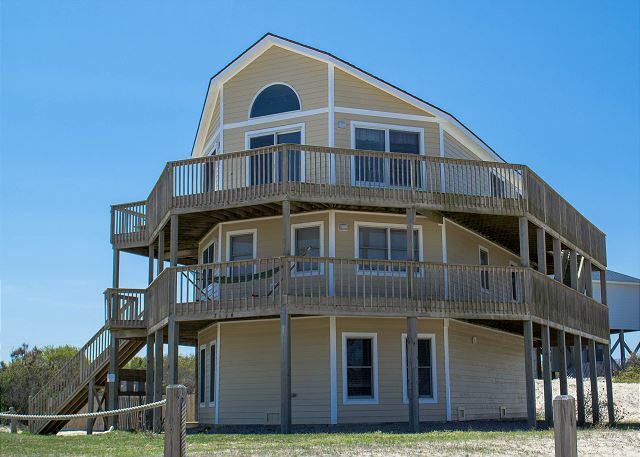 Almost Paradise is a great vacation home and we'd love to welcome you back. Great family vacation - HOME WAS BEAUTIFULLY DECORATED - great home great location - thinking of coming back end of August. Almost Paradise is a beautiful home, the owner did a wonderful job decorating. So glad you enjoyed it. We'd love to have you back! Great location. Short drive to the beach. Beautiful sunrise every morning, kids had a blast in the pool, and lots of horse sightings! Cleanest dog friendly home we've ever stayed in the OBX. I do wish room layouts were disclosed on the listing. One of the bunk rooms is located in the basement- far from the other rooms. Not ideal for younger kids. It does have its own bathroom and would make more sense if it were converted to a queen and one of the other rooms be converted to the 2nd bunk room. There were also LOTS of nails lying around the porches. Unsure of how there were so many everyday and wouldn't recommend anyone walk in porches or below the house in bare feet. We would like to thank you for taking the time to leave us a review. We apologize for the inconvenience your family faced while staying at Almost Paradise. The issue with the nails has been addressed and removed. Happy to hear your family enjoyed their vacation. 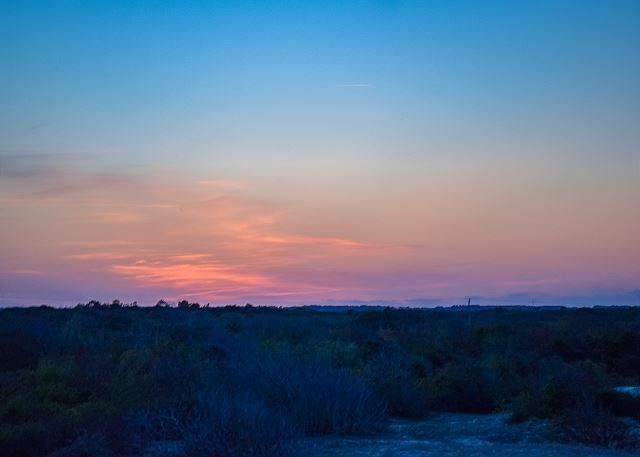 Nothing beats those gorgeous sunrises in the 4X4 area other than the wild Spanish Mustangs! Hope you'll return to Carova with us next year!